gave him a nylon which contained some powdery substance which she instructed him to pour in his father’s food as well as his bathing water. “After giving me the substance, my mother warned me never to tell my father or anyone about it. However, I love my father and I told him because I never wanted any bad thing to happen to him,” he said. “At any slight opportunity, my husband beats me. For 14 years, Adeshina has not stopped beating me and the last one he did was the reason why I made up my mind to call it quits with him. “Again, on December 5, 2018, Adeshina came to attack me in my shop because he was not happy that my business is doing well despite his inhumane treatment. All the witnesses that testified corroborated Adeshina’s submissions, NAN reports. 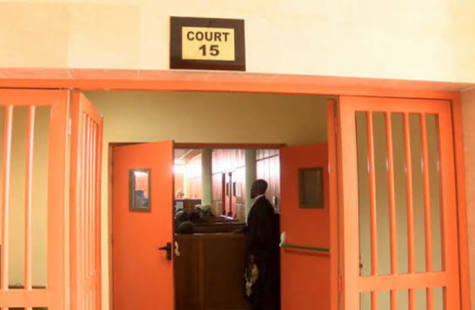 The petitioner, who was unruly during the court’s proceedings, was asked by the President of the court, Chief Ademola Odunade, to bring her parents to the court. He adjourned the case till Feb. 27 for judgment.